Practically every business collects terabytes of data from an array of sources, looking to analyze that data into meaningful insight that drives decisions. How come some organizations appear so successful while others simply vacuum up data, and then seemingly do little with the information? No matter their individual results, overall investment shows no sign of slowing: Brands plan to increase their spending on cloud-based data platforms alone by 73 percent over the next three years, according to VB Insight's "The State of Marketing Analytics" report. They spend more than one-third of their marketing budgets on analytics tools, but marketing executives have limited confidence in analytics tools' ability to generate insight – despite the availability of more than 800 software options. No analysis needed for this decision. Register today! 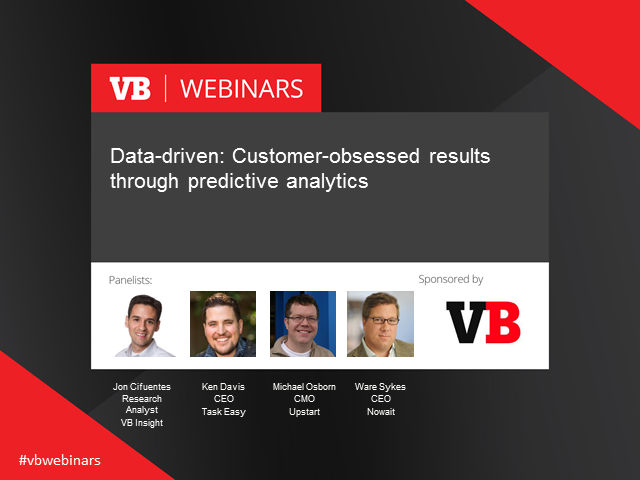 This webinar will be based on the results of Jon Cifuentes' VB Insight Marketing Analytics report.